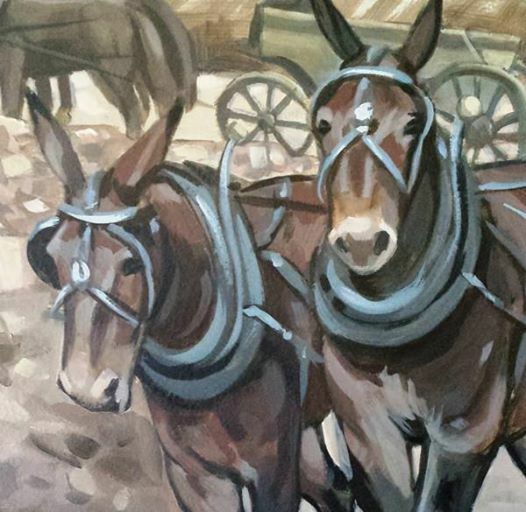 This article was submitted by Jean McKay at the Erie Canalway National Heritage Corridor as part of an ongoing feature in Canalway Trail Times. In October, the National Park Service listed the “New York State Barge Canal” on the National Register of Historic Places, the Nation’s official list of the historic places worthy of preservation. The designation recognizes the currently operating Erie, Champlain, Cayuga-Seneca, and Oswego Canals (known today as the NYS Canal System, but named the NYS Barge Canal when opened in 1918) as nationally significant works of early twentieth century engineering and construction that impacted transportation and maritime commerce for nearly half a century. Erie Canalway Trail users enjoy a unique window on that history, as major portions of the trail run adjacent to the Erie Canal. 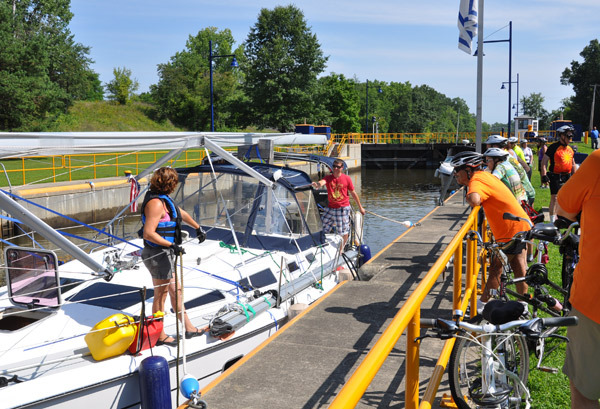 Seeing 100-year-old locks, lift bridges, and other canal structures, as well as working tugs and pleasure boats, while on the trail is part of the “canal experience.” It’s what distinguishes the Erie Canalway Trail from other off-road trails. Though several American canals are listed on the National Register, the New York State Canal System is by far the largest and the only one that remains in operation as a living waterway. Built between 1905 and 1918, today’s canal system is the direct descendent of the “old” Erie Canal and a network of connecting waterways that have been in continuous operation since 1825. New York’s canals – with the Erie as their centerpiece—have played a pivotal role in the growth and development of the United States. The canal system continues to allow commercial and pleasure vessels to pass from the Atlantic Ocean to the Great Lakes. A recent economic impact study points to $6.2 billion dollars in non-tourism economic impact from the canals, including renewable energy generation, agriculture, and industry. PTNY’s study of the Erie Canalway Trail, released in 2014, shows an annual economic impact of $253 million annually from 1.6 million visits to the trail. Yet what matters most to visitors—whether from the canal corridor or from around the world—is having a great experience here. The National Register designation signals both quality and stature and has the potential to draw people who want to enjoy unparalleled recreation, scenery, and history all in one place. Let’s continue to roll out the welcome mat! America’s most iconic, influential and enduring waterway is here for all to enjoy. The Barge Canal National Historic District spans 450 miles of navigation channels and is remarkable in its scope. The nomination evaluated 791 features and included 552 contributing structures and buildings. What you see on the ground is largely unchanged from when the system went into operation in 1918.